Needless to say, I’m ready to get back into my food and workout routine – that much travel is just hard on the body. I will admit that I wasn’t 100% Paleo over the weekend, although I was pretty darn good. My biggest non-Paleo indulgences were dessert on Saturday night at the Spice Market (it was simply too good to turn down!) and a couple of pints of lager with my team. When in Rome, eh? 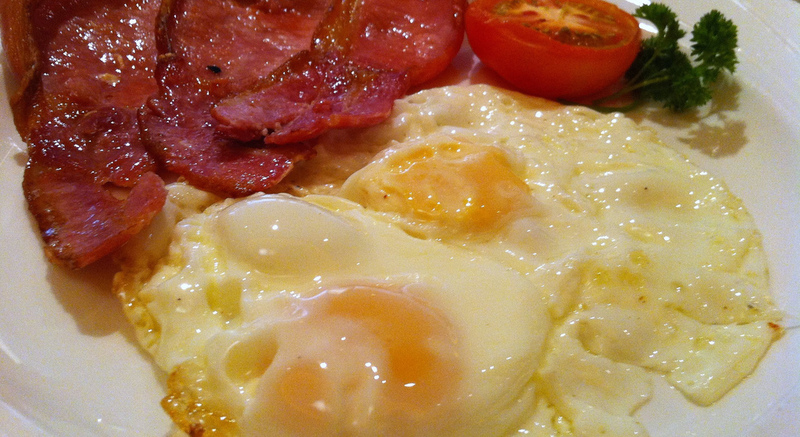 English Bacon and Eggs... Yum! One of my very favorite parts of the trip was getting to drop in at CrossFit London over in the East End. 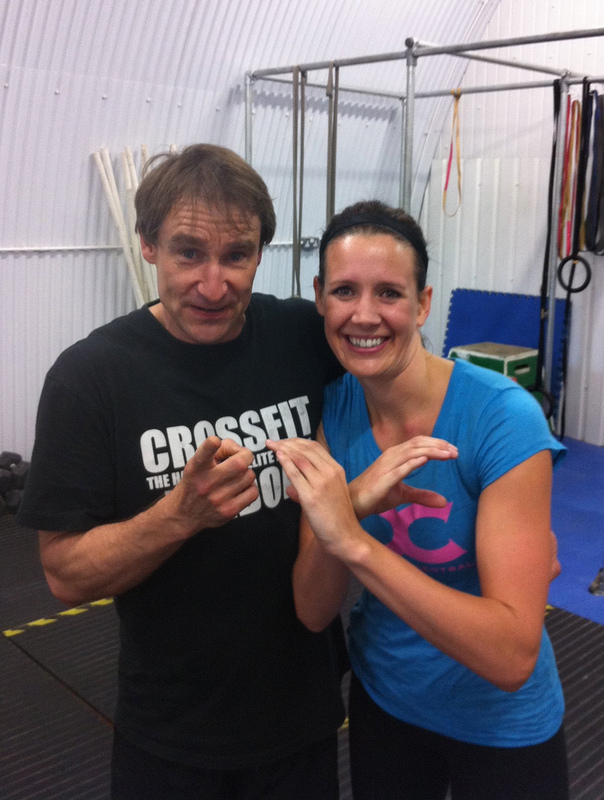 Andrew and I after my workout at CrossFit London. We had a 15-minute cutoff for the workout… I finished at 10:15 with a 65# bar. Wanted to go a little heavier, but I was struggling with the Hang Power Cleans and my mental focus (the jet lag was killing me). I’ve consistently struggled with getting my elbows up high enough on my hang power cleans, so that was a major focus area for me in this workout. I finally started getting the feel for them! (after, of course, I bruised the snot out of my collarbone on my first two reps) After the WOD, we practiced holding handstands and falling onto a mat… Andrew explained in detail how you need to squeeze your glutes so tight you could hold on to a 20 pence piece… 😉 Loved it! Plus, it was a gorgeous 68 degrees outside during the workout – it’s amazing how much stronger you feel when it’s not 105 degrees and sunny. All in all, a great trip… glad to be back home and back to normal, though! Lots of recipes and food fun coming this week now that I’m back… stay tuned.